I have a house full of people who absolutely can’t get enough cinnamon. It’s probably because the hubs grew up in a place called Apple Hill in California. Orchards were everywhere & there was certainly an abundance of apple pie happening. But we joke that the reason my son is so crazy for cinnamon is because I ate sticky buns nearly every single day when I was expecting him. The whole house loves cinnamon, apples, oats & all flavors associated with fall. So this time of year is their favorite because we are making everything we can with all those fabulous flavors. 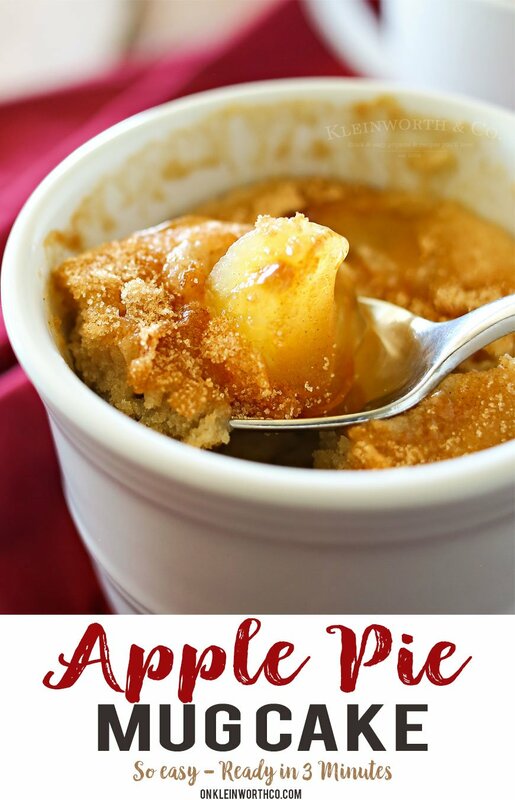 Since today the theme is apples, I thought I would pair a favorite cinnamon mug cake with apple pie for a delicious dessert that’s ready in just 3 minutes or less. That’s right- this cake is made in the microwave in just 2-3 minutes. The family is obsessed! 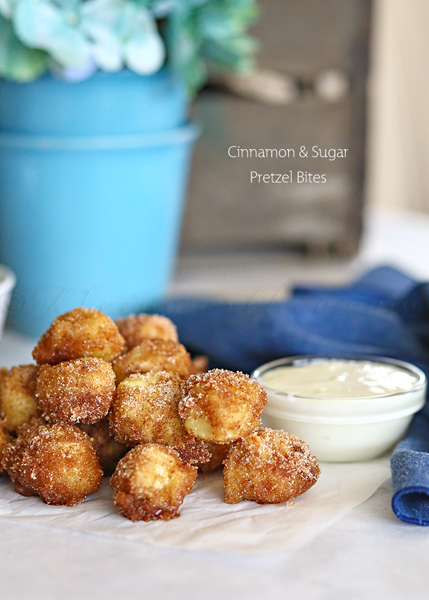 Just look at all that cinnamon & sugar on there, oh my goodness. 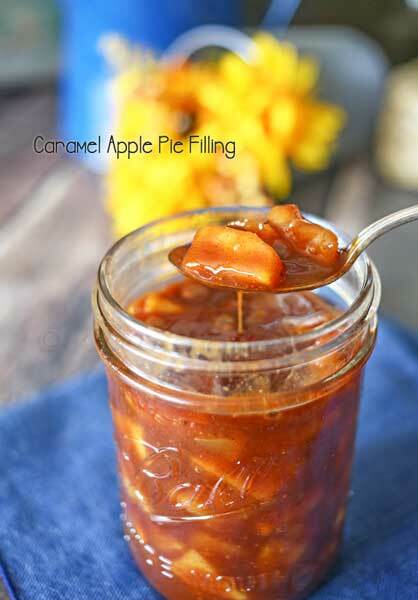 Now you can definitely make these with my homemade apple pie filling or you can use the store brand of your choice. Either way- it’s like all the great flavors of fall come together in a nice little, portable dessert. 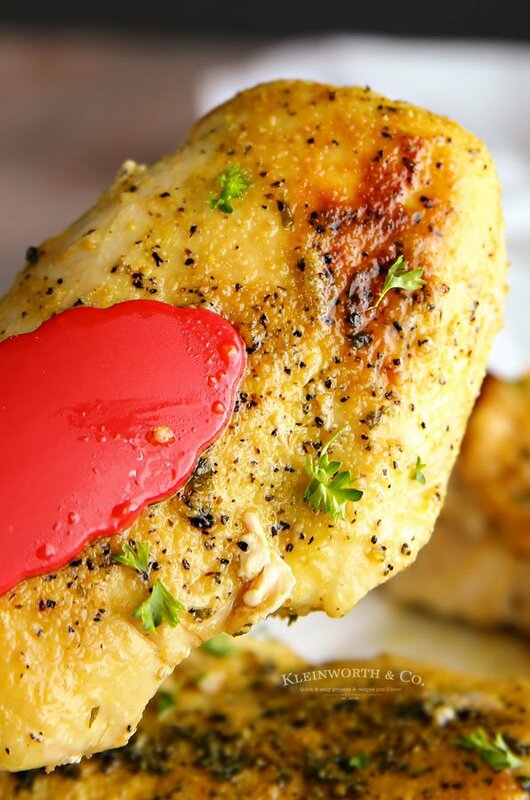 This recipe works best with plain 14oz tall side mugs. I like them because they are inexpensive & it’s the perfect serving size too. 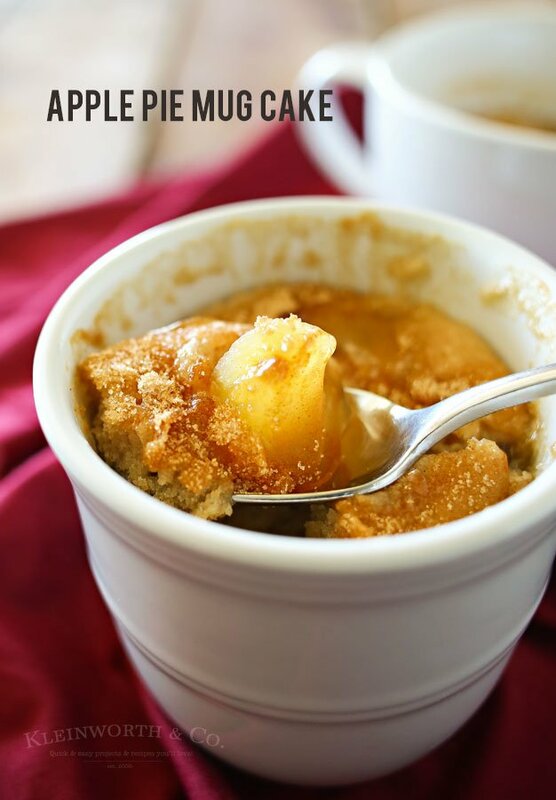 Apple Pie Mug Cake, everything you love about cinnamon & apple pie in an easy 3-minute mug cake. Quick & easy desserts don't get any better than this. Alternate layers, ending with cinnamon sugar. 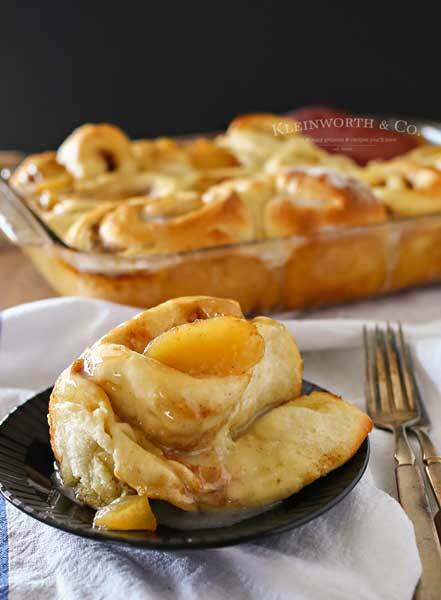 This is a must-make dessert recipe for all you apple & cinnamon lovers out there! Looking for more of our favorite apple & cinnamon recipes? 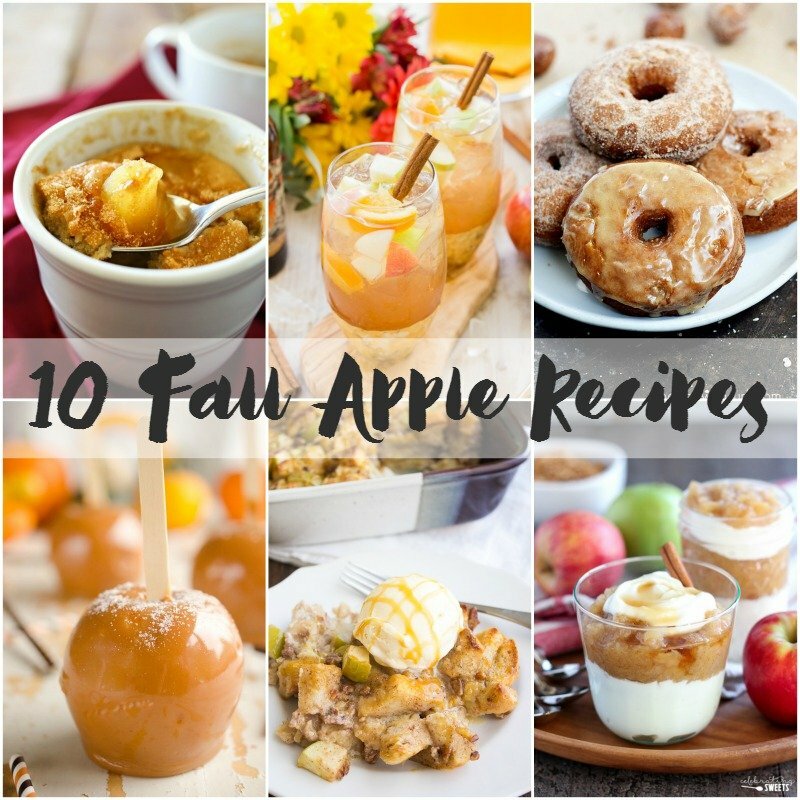 Be sure to check out all these apple recipes too! Mm! Apple treats are on my mind as fall and Rosh HaShanah approaches! 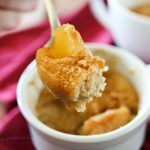 Apple pie in a mug? I’m sold! This looks lovely! 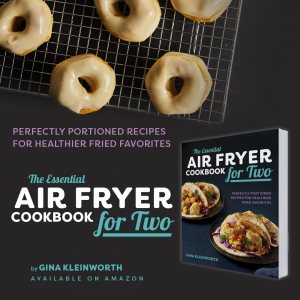 I never would have thought of this, but now I really need to make it! Oh how luscious and tempting. I must make this soon. Thanks much for sharing with us at Weekend Potluck! Aww- thanks so much Emily! I’m honored. I will be there! 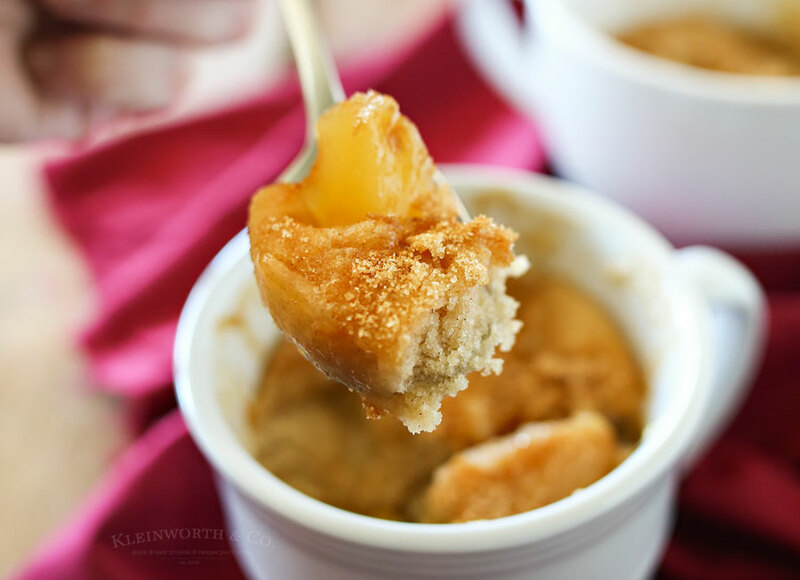 You will definitely love the cinnamon goodness of the apple pie filling in the mug cake. Next time I’m adding vanilla ice cream instead of whipped cream. Thank you so much! I’m absolutely honored! Hope you have a blessed weekend. 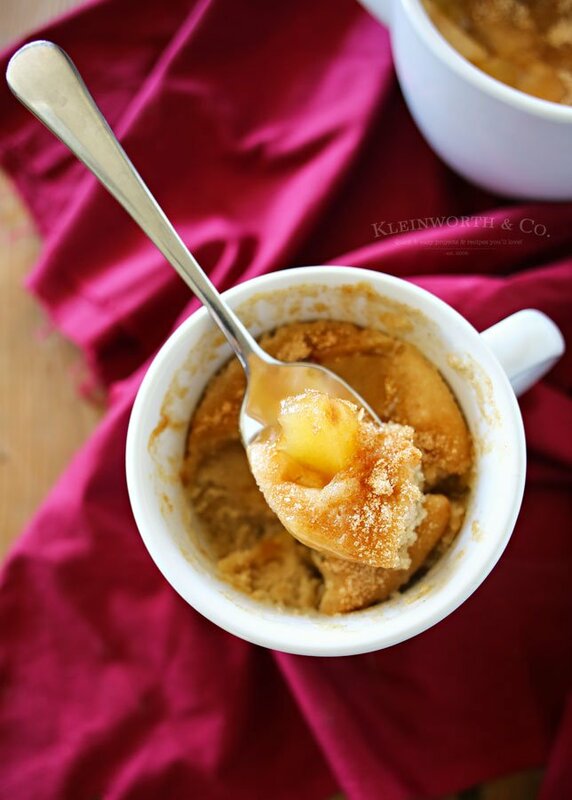 I just love your Apple Pie Mug Cake, this one must be for me! Hope you are having a great day and thanks so much for sharing with Full Plate Thursday.